140 km off Chile’s capital city of Santiago, the family has its own plantations in the Rapel Valley in the village of Rosario (Apalta) and Las Cabras. In some cases, the vines are more than 30 years old and offer the most valued vine stock to the different markets. 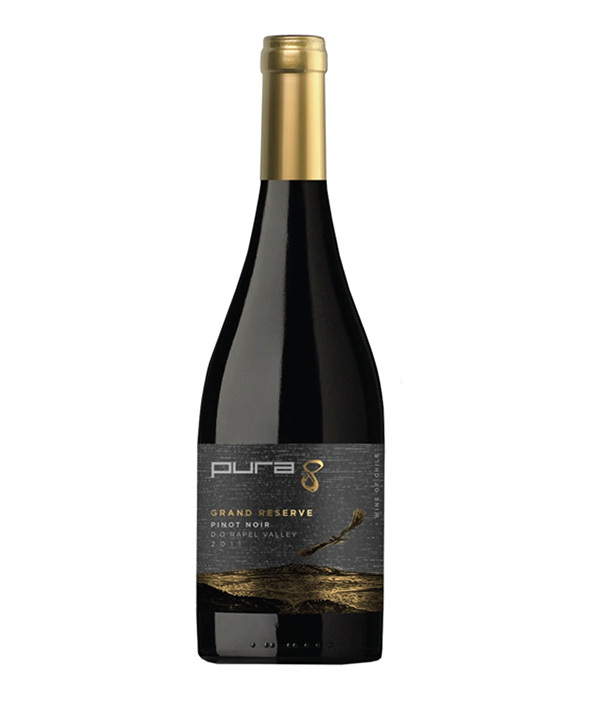 Pura 8’s finest Grand Reserve is a delicate black fruit filled and flower infused wine. It is light bodied with raspberry, cherry, and plum notes. It balances out with herbal hints of rose and soft tannins. Agrícola Santa Cristina Winery began its history in 1970 as a family vineyard. In 1994, with over 20 years of experience, the vineyard decided to focus its production on making fine wines for each category through the investment in cutting-edge technology and high quality standards.